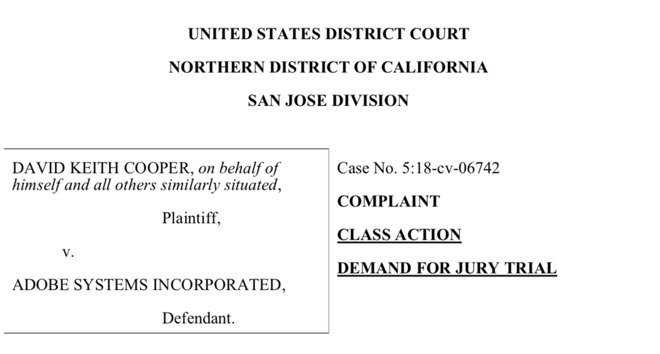 Professional photographer David Keith Cooper of Maryland, US, has filed a claim to take Adobe to jury trial over loss of his data through a software fault in the video-editing app Premiere Pro. He alleges that this should be a class action suit to a value in excess of five million bucks because he knows many other people who've had the same problem. 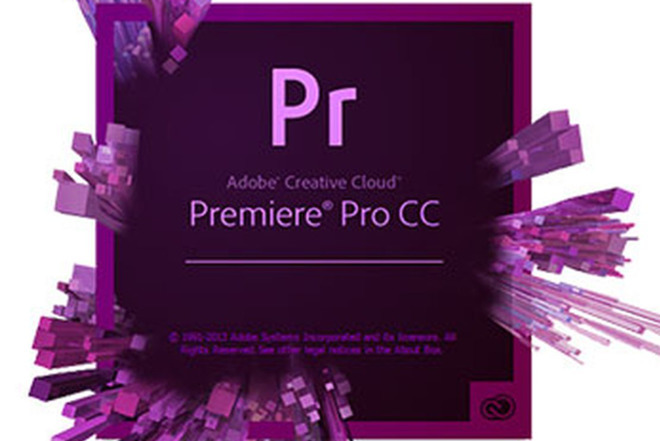 Adobe Premiere Pro is a subscription application that you pay from $19.99 per month for. An 8TB backup drive costs about $149. We're unclear how much Cooper's lawyers are charging him, but it is probably a great deal more than $19.99 per month, plus $149. You can read practically every other detail online in the filed court document that we've helpfully embedded below. What Cooper claims happened is that he shot a lot of video. Truly, a lot —he alleges that it was around 500 hours of digital footage that he filmed between 2010 and this terrible day in 2017. He kept his footage on one external drive connected to his computer and on or about May 1, 2017, he installed the then latest update to Premiere Pro and edited some video. To save space on his computer's internal drive, he moved Premiere Pro's temporary Media Cache to the external to save space. He then clicked on Premiere's Clean Cache command. He says that instead of this wiping temporary Premiere files, it permanently erased any number of video files and documents from that disk. According to Adobe's own blog, this bug is true. It was possible back in May 2017 that clearing the cache could wipe non-Premiere files so it is also possible that this how Cooper lost so much work. We've all lost data and we have all sworn at software that's erased it for us —we're looking at you, Microsoft Word —so we do all recognize Cooper's pain. Only, zoom back to the description of him: he's a professional photographer. The legal filing actually says he's "an experienced and sought-after commercial photographer, videographer, and video editor." The trouble is, if we or you or anyone else searches for him, the easiest thing you can find that is definitely him is this lawsuit. He's just an experienced photographer who in seven years apparently never made any reliable backups. Perhaps he didn't know how: let us help him out there. He says he's lost his data because of Adobe but if he shot it on assignment, he's actually lost his client's data. If you're a client seeking after a photographer, we feel we can be sure this one will backup files in the future. And if he wins his case, he'll be able to buy around 30,000 8TB drives to store it on —assuming the lawyers don't take most of it. And, in case you were wondering, the terms of using the Adobe software are pretty clear about the company not being responsible for data loss for any reason.